Mit Ana María Calderón Kayser und Sebastian Herkner auf Tour. Travel broadens the mind, and rarely do the best ideas occur when you’re sitting at the desk. Which is why Ames’ Ana María Calderón Kayser and designer Sebastian Herkner toured Colombia, explored natural materials and old crafts techniques, and with their installation entitled “Colombian Design Trail” are now presenting the first fruits of their travels. What happened to the original R4? Ana María Calderón Kayser: Sebastian Herkner and I did not travel in an R4 but we repeatedly saw that legendary Renault during our trip through Boyacá. The mustard yellow R4 is the one we encountered most, and one of our artisans in the region, Ramón from Nobsa, owns one in fact. Hardly surprisingly, the color also frequently crops up in our new “Ames Sala by Sebastian Herkner” collection. What products get transported on the roof of the R4? 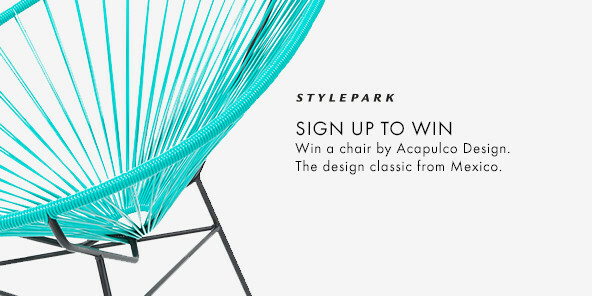 At the Featured Editions at the imm cologne our R4 transports a freshly knotted “Nudo” carpet, a couple of “Barro” terracotta vases from the Tolima region, a crate of Poker beer, one of the “Nobsa” carpets Ramón has just finished making, and a few beautiful “Fibra” baskets made of esparto grass. Starting in Bogotá we first of all traveled to various places in the Cundiboyacense highlands, at an altitude of 2,500 meters, where for centuries now people have worked with sheep’s wool and where the esparto grass grows wild and is used to weave the traditional baskets for collecting fruit and vegetables. We then headed for the Tolima region, wedged between the eastern and central Andes. There we met the great people who have for centuries crafted tableware and pots from black clay. On the return leg we met the inhabitants of a small village – almost all of them knot carpets by hand. 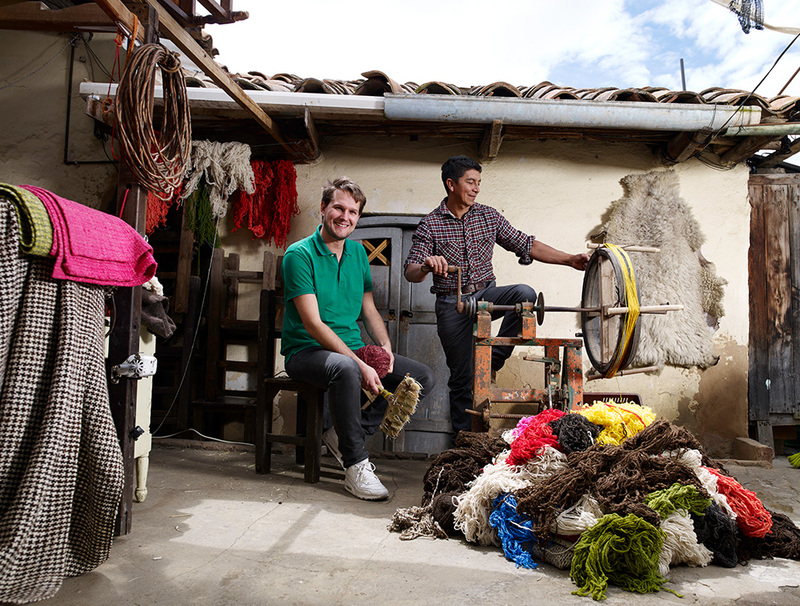 Sebastian Herkner started designing our “Nudo” carpets when with Jorge and his family. Our heads drunk on ideas, we drove back to Bogotá and visited the Barbisio hat-makers: in future they will manufacture our “Gororo” felt baskets.